The treasured innovator walked the Met Gala red carpet. Dapper Dan, the legendary Harlem tailor known for combining knock off high fashion prints with streetwear elements, has had a tumultuous relationship with the fashion world. He's been sued by Louis Vuitton, Gucci, and Fendi, was completely knocked-off by Gucci in the line's 2018 Cruise Collection, and opened a Harlem boutique in collaboration with the Italian fashion house earlier this year. It's been a wild ride! 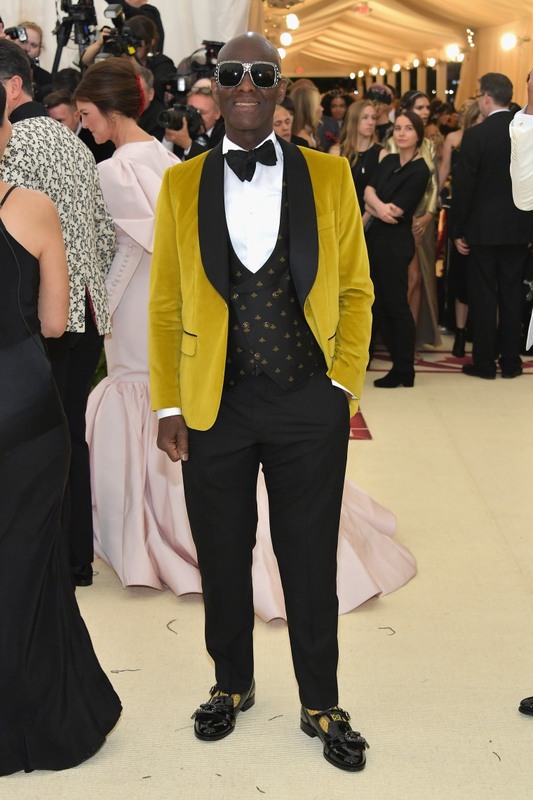 Last night, however, the innovator made his way to the Met Gala red carpet, another signal that Dapper Dan's sartorial legacy is continuing to get the recognition it deserves.